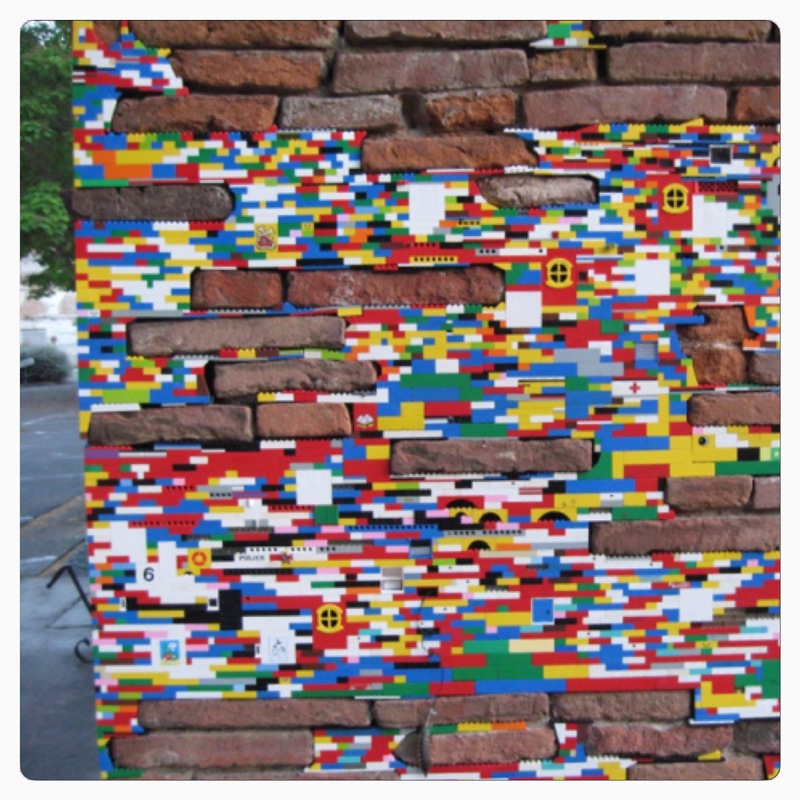 Since 2007, enthusiasts of Jan Vormann’s Dispatchwork have been replacing the holes in the deteriorating public brick work of European cities, with colourful plastic building blocks. These colourful and imaginative alterations can now be found in over 100 cities, some stretching beyond Europe to Morocco and China, with a few colour bricks installed on the Great Wall. Pictured above, is an example of the Dispatchwork series found in Toulouse. I admire this colourful and playful re-imagining of public space. It reminds me that one can happen upon fun-spirited examples of creative ingenuity in public spaces and the transitory nature of unique moments in city life. For more images please visit Dispatchwork’s Instagram. Creative involvement information can be found here.